NOTICE: Product will be packed cold for freshness with ice packs in a cooler or insulated foil bag. We will ship expedited even when you select ground for shipping..
We only ship refrigerated products from Monday thru Wednesday so they don�t travel during weekends. 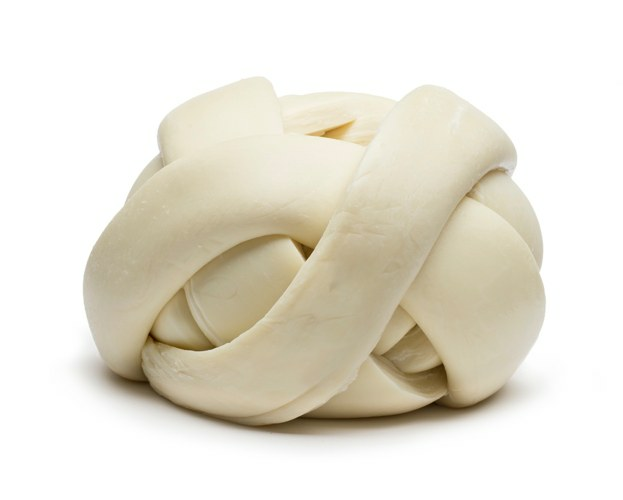 The Oaxaca cheese-making method allows for its string-like nature which is then later braided into a ball. It is incredible mild in flavor yet rich and creamy with tangy herbal notes of fennel and dill. 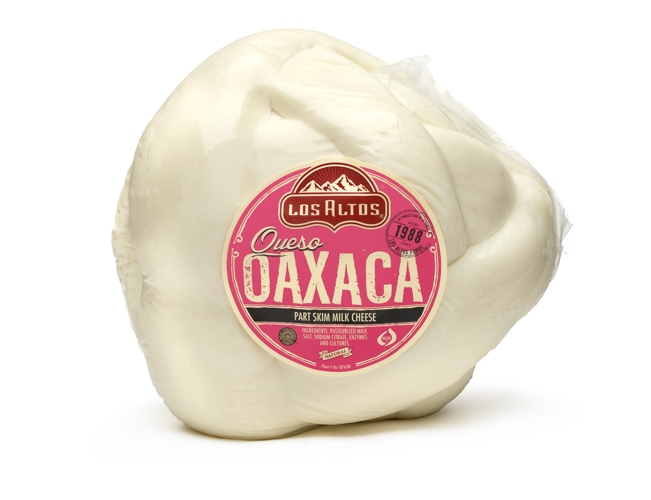 Queso Oaxaca is ideal for melting which makes it great for quesadillas or best as a fun-filled snack. Los Altos Mexican cheeses are packed with the best refrigeration materials to keep them cold & fresh during shipping delivery process so they will arrive at your door step ready to eat, or further refrigeration or freezing (it may vary on some items). We only ship Mexican Cheese from Monday thru Wednesday so they don't travel during weekends. We are sorry but we cannot ship refrigerated orders to: APO, FPO, Etc, as well as Puerto Rico and Canada. All sales are final on this item and no returns are accepted. El Queso Oaxaca es muy parecido al del Queso Asadero y sirve para derretir.Su caracter�stica principal es su apariencia en forma de bola enrollada, la cual tradicionalmente, permite a los consumidores y a los cocineros desprender unpedazo a la vez en forma de queso en tiras mismas que permiten decorar y darm�s sabor a un sin fin de recetas. El queso oaxaca es un excelente queso paraderretirse en quesadillas, en sopa o en cualquier otro platillo mexicano. Los quesos Mexicanos Los Altos los empacamos en MexGrocer.com con los materiales necesarios para que se conserven frios durante su traslado y lleguen a tu puerta listos para comer, refrigerar o congelar. Disfruta en tu casa o restaurante la calidad y sabor �nico del aut�ntico queso Mexicano. As a kid I used to love Queso de Bola, because of the strings. I would love to peel it as thin as possible, eating one strand at a time. I bought this for my children, I'd like to teach them how to eat a good Queso de Bola, the "fun" way. 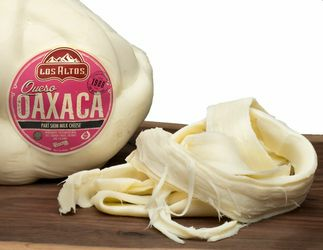 Queso Oaxaca is one of the most traditional and delicious cheeses from Mexico. When I was a little girl, I would peel away the strips of of the "bola" and savor every string of cheese. I also use it for melting. This mild flavor and smooth texture takes me back to my home town. This cheese was pretty good though it is a bit salty after a few bites.